Join educators, students, World Affairs Council and community members, and history and foreign affairs enthusiasts for the seventh annual Archaeology Discovery Weekend featuring the Syria and its many treasures. Archaeology Discovery Weekend is an annual event in mid-November, sponsored by the Center for Near Eastern Archaeology and organized by its Archaeology Planning Committee. The schedule typically involves Saturday afternoon and evening and most of Sunday. Events include Lectures by world-class scholars on a common theme, a Middle Eastern or Mediterranean banquet, a Teachers Workshop, a Kids Dig, hands-on lab activities, and a genuine Bedouin Hospitality Tent set up for refreshments. 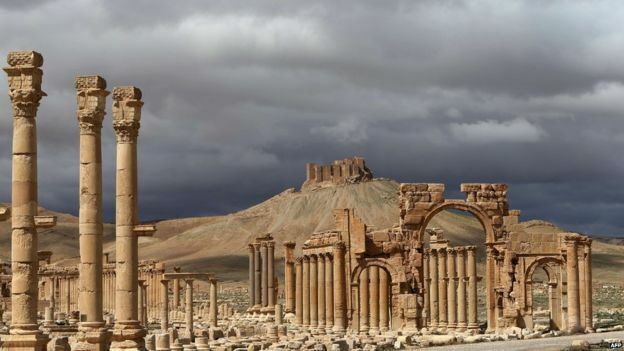 Topics are almost ripped from the headlines and include: Syria’s contributions to human history and culture, the illicit use of artifacts to fund Syria’s civil war, the tragic recent losses, and technology to prevent the destruction of archaeological sites. The illustrated talks are by scholars from Syria, Europe, Canada, and the U.S. In addition there are special sessions and materials for teachers and an archaeological dig for kids. From 1:00 - 3:00 pm on both Saturday and Sunday there is a special session for teachers. After those session, teachers then attend the lectures with their families or with other teachers. Upon turning in a summary/reflection sheet on the presentations, teachers will receive a certificate of attendance hours for professional credit.